Fuchsia leather patent combination retro style mary janes with lipstick red and purple trim and colorful hearts accents and logo detail. Comfort, lightweight, superior quality, style, attention to detail, bright colors are all the things you expect from high-end designer Agatha. 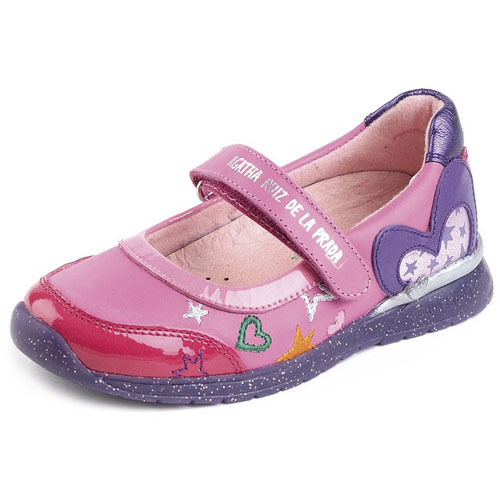 • Premium leather and patent upper with colorful accent details . • Padded collar and tongue provides additional comfort.